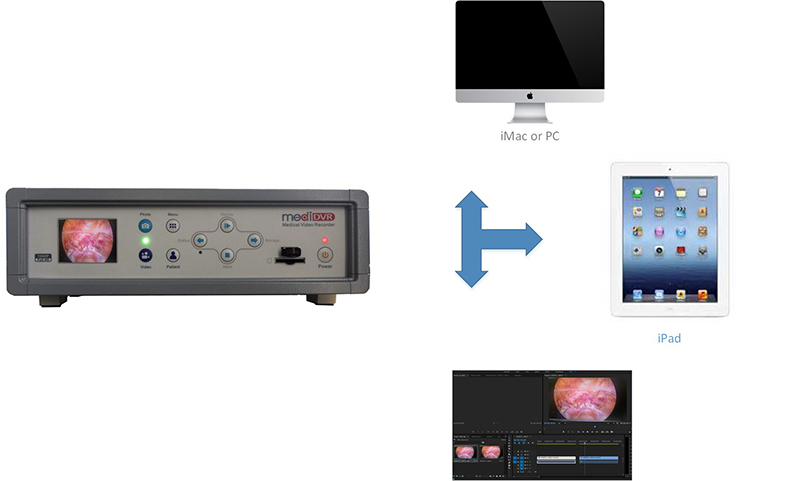 Upgraded Surgical Video Recorder - Zowietek Electronics, Ltd.
Shanghai, April 2017 – Zowietek Electronics, Ltd. – the professional medical video recorder supplier in Shanghai, introduced upgraded MediDVR, Surgical Video Recorder. It is designed for improved user experience, quick set up and ease of use, and includes a robust list of features and capabilities. 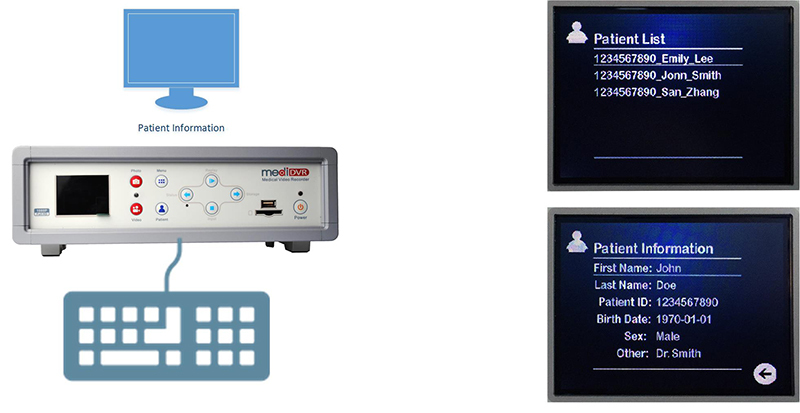 Innovative pause recording, an edit feature in MediDVR. It lets video recording pause and resume seamless. Only record the video important and make many video clips into one single video clip while recording. Puase recording may be possible with footsiwtch. No necessary to spend plenty of time to edit and render video after operation. When video files size hits the OS limit, no video dropped before new video clip created. The video between the interval will be buffered and recorded into next video clip. that is directly supported by all major editing software, desktop PC or mobile devices. 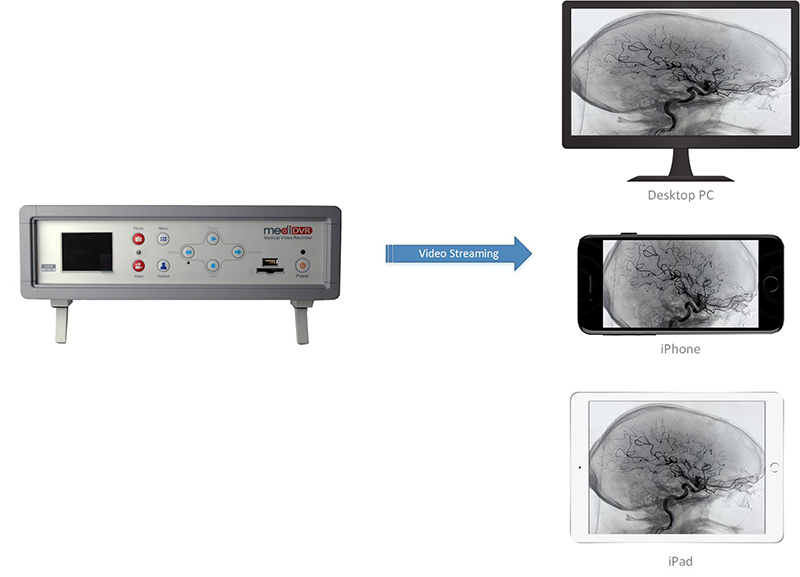 MediDVR has universal video connectivity and compatibility. 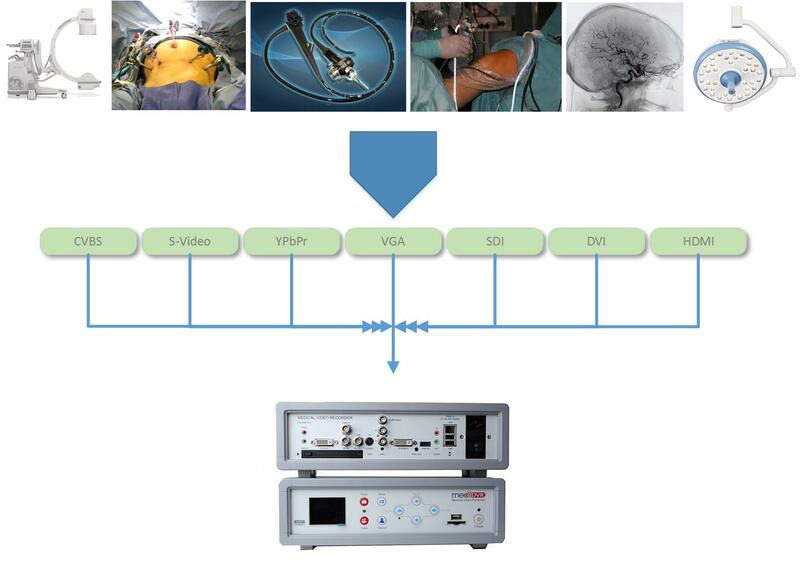 such as laparoscopies, endoscopes, arthroscopies, C-Arms, angiographies and surgical cameras. CVBS, YPbPr, DVI, VGA, S-Video, HD/3G SDI and HDMI. 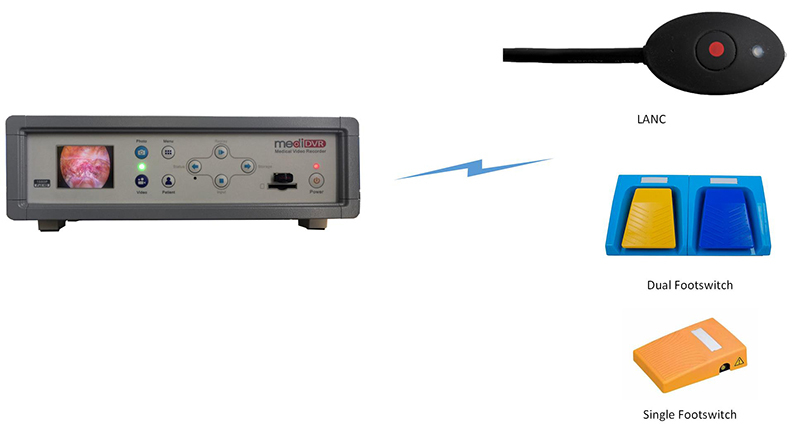 It automatically detects the input video signal resolution for specified video type. Manual setup is also available. can be loop out to DVI preview while recording. SDI, HDMI and DVI can also be looped to DVI preview. DVI output will auto set display refersh rate based on input video source. Easily access MediDVR videos from network directly. 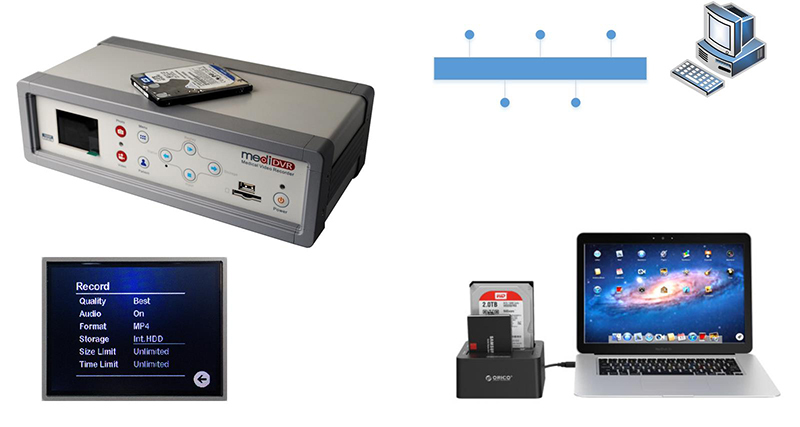 SATA, USB Flash Drive, USB Portable External HDD, Inernal SATA HDD and SD Card. for high capacity recording up to hundreds of hours HD quality video. the fastest and efficient way. on LCD and Preview monitor now. Patient info is recorded under patient folder with the video. Just press patient button to go to patient management. Then use keyboard and front panel button to edit. Now, the replay will auto sense the presence of preview monitor. The preview monitor has the priority to display or replay. then select the paitent folder to replay. can be displayed on external monitor for easy accessibility while operation. It can be turned on/off in setting menu. can switch frequently used video sources or storage medium and replay quickly. with LED feedback on finger tips. Affordable and reliable with low memory warning. 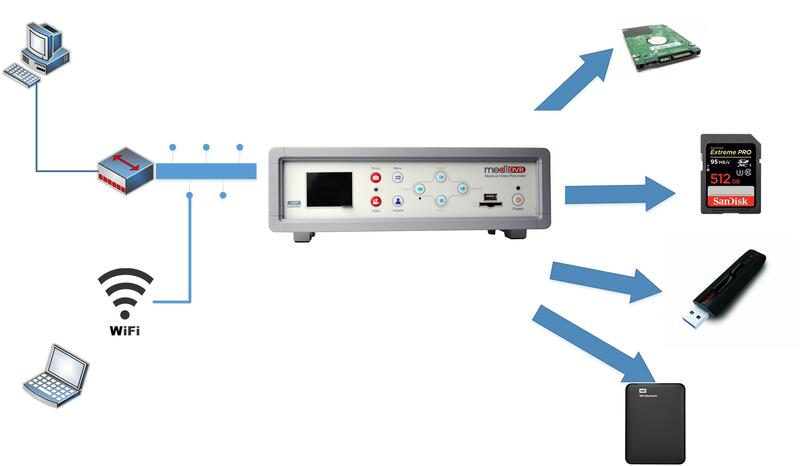 Zowietek Electronics, Ltd ,established in the year of 2004, has many years of excellent experiences in the design, development and manufacture of high-quality Medical Video Recorder, HD SDI Bullet Camera, HD Bullet DVR, HD Micro DVR, HD Video Encoder, LANC, Micro MPEG2 DVR, TV Tuner Card, MPEG-1/2/4 encoder, VBI/Teletext, VideoScope and on-going development efforts. We have strong hardware, firmware, software, and R&D experiences to be the market leader in developing, manufacturing, and integration, digital video technology for professional video applications for many years. Zowietek is focusing on OEM/ODM customers worldwide. We keep presenting the latest medical, industrial and consumer video technology and full range solutions to our customers. For more information, please visit the company’s web site at www.zowietek.com.